You may never have heard of designer Ron Hickman but most people know of his Black & Decker Workmate. He was also a leading designer and Director at Lotus. Recently donated to the UK’s National Motor Museum were over 100 sketches, drawings, photographs and documents from his Lotus days. South African Hickman trained in law before moving to England in 1954, taking up design at Ford Dagenham. He soon moved on from Ford to become an integral part of the Lotus design team. He was involved with the 1957 Lotus Elite and later with Colin Chapman masterminded the iconic 1962 Lotus Elan – one of the most revered sports cars of the 60s. His later efforts included the Lotus Europa and Elan 2+2. The unsuccessful Lotus bid for the Ford GT40 LeMans project, based on a Hickman design, then contributed major elements to the Lotus Europa that debuted in 1967. Hickman moved on from Lotus to design the lounge seating for Cunard’s new flagship, Queen Elizabeth 2. Following lack of retailer interest in his foldable workbench Hickman began selling it at trade and consumer shows, making sales of around 14,000 before Black & Decker bought the rights in 1972. That figure is closer to 100 million today. The fascinating collection spans his years spent working on vehicle design, with a strong emphasis on his time as a Lotus Director. Most of the drawings are originals, complemented by copies of sketches, including a complete design proposal to redesign the Caterham Seven. National Motor Museum Trust Director of Collections Andrea Bishop said: "We extend grateful thanks to Mrs Hickman for this generous and important donation. 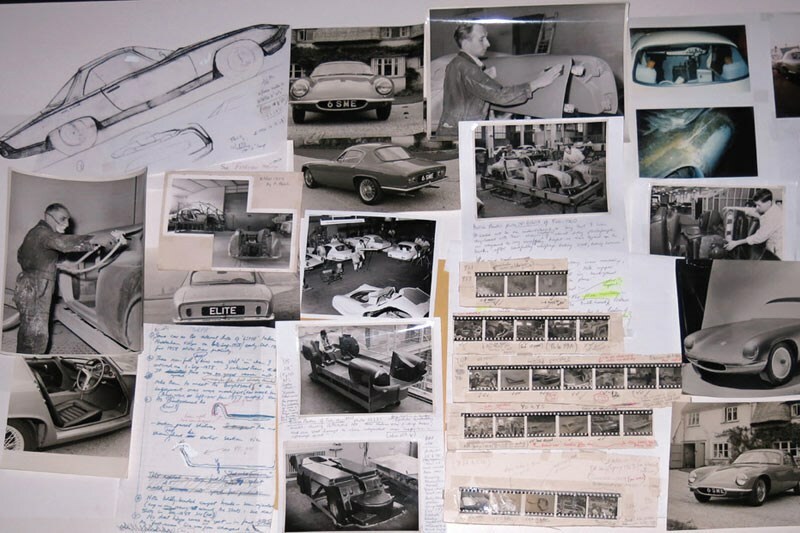 Ron Hickman’s significant contribution to automotive design adds a fascinating insight into the development of Lotus Cars to our motoring archive. We are looking forward to exploring this large collection and sharing some of its content on our website next year."